I’m not inclined to repost anybody else’s work, but after watching this devastating little film on the New York Times website this evening I’m making an exception. Take a look—and be patient. The ending will surprise (and maybe rattle) you. Tumblr Devs: Are They 30 Years Young Yet? Note that this video, one of 132 posted by the breathtakingly self-pleased and blindingly teeth-whitened katilette (“You're only as old as you feel!”, her description of this video declares), has, as of today, garnered 75,880 views and 2,971 likes. Looks as if, as far as life’s milestones, katilette’s YouTube subscribers, and Tumblr’s developers are concerned, 30 is the new 70. Postscript (5/21/13): When I first posted this item back in December 2012 I knew nothing about the people behind Tumblr, including its founder, David Karp—now in the news because Yahoo has agreed to buy his site for $1 billion. But based on the ultra-cute signup I described above I can't say I'm surprised to learn that Karp is 26 years old. NOTE: This post does not offer workarounds for iPad users intent on enjoying Pottermore’s Potions and Wizard’s Duel activities, which require the Adobe Flash Player. It’s my understanding Adobe Flash is (and will forever remain) unsupported on Apple’s mobile devices. Sorry! Once the direct download is finished, your iPad will invite you to open the file in your iBooks app. It will also place the book on your iPad's bookshelf. I suppose there are other ereader apps available for the iPad, which is why you’re also given the choice of using the Open in... button. I used Open in “iBooks” and found the DRM-free epub file opened flawlessly (which it should, since iBooks supports its epub file format). 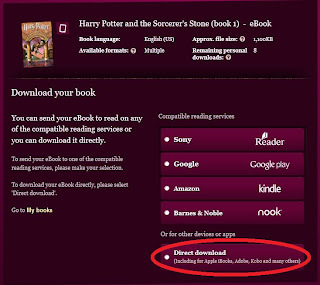 Granted, Pottermore Shop may recommend its laborious 10-step approach to ensure that you place the DRM-free copy of your Harry Potter ebook on your Mac or PC for safekeeping. That way should your iPad meet an untimely end and you require a new (or reformatted) one from Apple you won’t use up another of your 8 (or fewer) allowable downloads obtaining a new copy of your ebook. Instead, you can simply synch the replacement iPad with your computer and voilà!—your Harry Potter ebook is once again ready to travel. On the other hand, if you’re impatient to read and would like to skip a few steps ... my approach will save you serious time. 16 April 2012 UPDATE: When “The Pottermore Shop team” was pleased to inform me in its email late last week that the remaining downloads of my Sorcerer’s Stone had been “increased” (see post below) I should have double-clicked on my copy of the book in my account’s “My Books” page and inspected the number of remaining downloads it displayed. Had I done so I’d have seen the total number was now 6, or merely 1 more than it had been before. Basically I’d been spotted an extra download in compensation for my original trouble obtaining a readable copy of the DRM-free edition for my PC. Hardly noteworthy. However, I used the extra download to try pulling a copy of Sorcerer’s Stone onto my mother-in-law’s iPad, which turned out to be a breeze. How many times can I download each book? 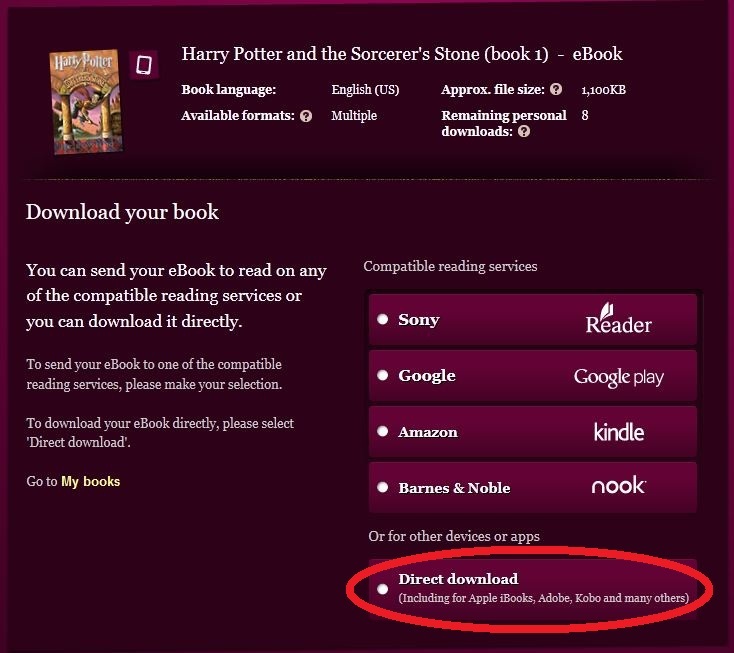 The books that you buy from the Pottermore Shop can be downloaded multiple times each for no additional cost. OK: multiple times is an ambiguous number. And, oddly, Pottermore Shop doesn't seem to have discontinued the 8-download limit across the board; it’s still mentioned on the site’s Downloading eBooks page. BTW: through all of this I’ve failed to point out that, ironically, my first, unreadable direct download from Pottermore Shop never counted against my now revoked 8-download limit. It was only after initiating the successful download the following day that I noticed my Pottermore Shop download count had reached 3—1 for my Kindle version, 1 for my Nook version, and 1 for my readable, DRM-free direct download. The previous day’s unreadable download had clearly never been counted at all. Lastly, I did confirm that that infamous first, unreadable file, 9781781100271_epub.v1.epub, was in fact Nook-DRMed. Here’s how I verified it: after synching my desktop PC with my Nook account my Nookcentric copy of Sorcerer’s Stone—the one Pottermore Shop had successfully sent directly to my B&N cloud account to read on my Nook 3G—appeared on my hard drive in the folder My Barnes & Noble eBooks. Its name: harrypotterandthesor_9781781100271. So I moved it to a backup folder, copied 9781781100271_epub.v1.epub into My Barnes & Noble eBooks, and renamed it harrypotterandthesor_9781781100271. With the new name I was able to open and read it with my PC’s Nook ereader software. It was clearly identical. Search for Harry Potter on Audible.com or Audible.co.uk and here’s the banner ad you’ll see. Apparently Pottermore Shop now has exclusive rights to downloadable audiobook editions of the novels. When Pottermore Shop opened last week (and I went on an unmagical adventure trying to download a DRM-free epub file of Harry Potter and the Sorcerer’s Stone) I discovered there were 5-minute samples of both the Jim Dale and Stephen Fry audiobook readings of all 7 Harry Potter novels. I was eager to compare them. Since we live in New York, my wife and I have bought for our daughter the Jim Dale readings of most of J.K. Rowling’s Harry Potter books. But choosing Dale was less a preference than a requirement. Bloomsbury holds the UK rights to the books and Scholastic holds the US rights; each was entitled to license audiobook subrights separately for its territory. So if you live in one of the 50 states your choice is Jim Dale, and in the Commonwealth it’s Stephen Fry. It’s a little like Henry Ford’s famous comment about the Model T: Any customer can have a car painted any color that he wants so long as it is black. In the US you can choose any Potter audiobook you want so long as it’s Dale. Though Pottermore Shop is happy to tease you with samples read by both actors, its servers appear to recognize where you live and won’t permit you to buy Fry’s readings if you live in the US or (I’m guessing since I haven’t quizzed anyone shopping from London, Glasgow, Dublin, Ottawa, or Melbourne) Dale’s readings if you live in the UK. More about that later. Let’s begin by listening to Dale and Fry reading the beginning of chapter 1 of Harry Potter and the Sorcerer’s Stone, which is what the marketers for Scholastic in New York insisted Rowling’s first novel be renamed when they were told the original UK edition would be called Harry Potter and the Philosopher’s Stone—because (according to Wikipedia) they knew American kids wouldn’t read any book with the boring word philosopher in the title. NOTE: I’m using the European music-sharing site Soundcloud to host my Dale and Fry audioclips. Please accept my apologies if the site is down and you’re unable to listen to them. For some time I’d been under the mistaken impression that the central difference between Dale’s and Fry’s reading styles was Fry’s refusal to devote himself to the kind of voice impressions that Dale relishes. But listening to all the Pottermore Shop samples makes clear this isn’t the case. While the chapter 1 excerpts above don’t offer much variety in voices—most of what we hear is an interior monologue by Mr. Dursley—I recommend those of you unfamiliar with Fry’s readings listen to his other samples. The difference in voice characterizations isn’t nearly as dramatic as I’d been led to believe. Mr. Dursley always sat with his back to the window in his office on the ninth floor. If he hadn’t, he might have found it harder to concentrate on drills that morning. He didn’t see the owls swooping past in broad daylight, though people down in the street did; they pointed and gazed open-mouthed as owl after owl sped overhead. Most of them had never seen an owl even at nighttime. Just as surprising is that Dale’s excerpt, though it bites off a bigger piece of the book, is actually shorter than Fry’s: 4:52 vs. 5:13. What I found extraordinary about this discovery was that I hadn’t noticed Fry’s leisurely pace at all while I was listening to him. As deeply familiar as I am with Dale’s approach I hadn’t found myself becoming impatient with Fry or even considering that he was speaking more slowly than Dale. Yet the differences in speed between the two really add up—especially in the later, longer books. For instance, Pottermore Shop lists Fry’s reading of Harry Potter and the Half-Blood Prince as 20.5 hours and Dale’s as 18.5 hours, while Fry’s reading of Rowling’s longest Potter novel, Harry Potter and the Order of the Phoenix, runs 29.25 hours versus 26.5 hours for Dale. And thanks to being given the chance to compare Dale and Fry word for word I did notice, in just these short excerpts, Fry offering more nuanced interpretations than Dale. As he reads Rowling’s description of Mr. Dursley—“He was a big, beefy man with hardly any neck, although he did have a very large moustache”—Fry seems to delight in this nonsequitur, changing inflection to note blithely that having a very large moustache has nothing to do with having hardly any neck. By contrast Dale’s reading is far more routine. Then, too, Fry picks up on the parallel description of Mrs. Dursley having “nearly twice the usual amount of neck”, appropriately emphasizing nearly twice to make clear the distinction between Mrs. Dursley’s long neck and Mr. Dursley’s short one. Dale, unfortunately, fails to convey this difference to the listener. Lest Dale fans protest that I’m picking on him, rest assured I love his readings—especially his energy, theatricality, and otherworldly voice for Dobby the house elf. In looking around the web for preferences about Dale and Fry I ran across someone defending Dale’s readings by observing that he recorded three of the Potter books before the first movie adaptation was released—and that his voices seem to anticipate those used by the film actors. Indeed, it’s hard not to see Robbie Coltrane when listening to Dale’s Hagrid, or Dame Maggie Smith when listening to his Professor McGonagall. Though I’d imagine the same is likely true of Fry’s voices for these very distinctive characters. Ultimately, though, true Potter fans should be given the chance to hear both readings unabridged and judge for themselves. So it’s vexing to discover that Pottermore Shop hews to copyright laws that keep Americans away from Fry and Britons away from Dale. Take a closer look. This instance of the gift popup appears if you’ve selected one of Stephen Fry’s readings—so the default location shown for Where do they live? is United Kingdom, which is where you’d ideally be residing to be entitled to listen to his work. (I’m guessing Canada and a number of other UK commonwealth countries would also work here, but why fuss? Let’s stick with the default!) Pick your own email address as the email address for the gift recipient—though make sure it’s not the same address you’ve used to establish your Pottermore Shop account. (Does Pottermore Shop know a random Gmail or Yahoo! 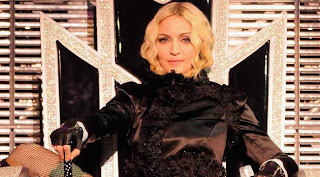 or Hotmail account belongs to a US resident and not a UK resident? Seems unlikely.) You should shortly be sent a download link for the audiobook of your choice. Again, I haven’t tried this ploy and can’t honestly claim it works. And technically I’m obliged to remind you that even if it does work you’re violating international copyright laws by exploiting it. 12 June 2012 Update: I have confirmation from a visitor that the Buy as a gift stratagem does indeed work! However, based on this visitor’s personal experience (and difficulties) it’s advisable that once you’ve completed the gift purchase you log off Pottermore Shop and either flush your browser’s cookies or open a different browser entirely to complete the gift download. It’s also advisable to send your gift to an email address that differs from the one you used to open your Pottermore Shop account. Still, gratifying news for Potter fans who’d like to broaden their audiobook horizons. On the other hand, if it does the trick I’d love to hear from anyone who’s been successful with it. While you’re at it, let me know whose team you’re on. When I bought my Virgin Mobile LG Optimus V at Radio Shack last February, I was excited to be getting a genuine android phone as part of a package that promised to give me 300 voice minutes plus unlimited text and web for a mere $25 a month. Data speeds may be reduced to 256Kbps or below for the rest of your month. During this time, you may experience slower page loads and file downloads and lags in streaming media. If data speeds are reduced, they will return to normal as soon as your next plan month starts. If you'd rather not wait for your new month to start, you can restart your plan immediately through My Account. or 20 hours of video clips*. 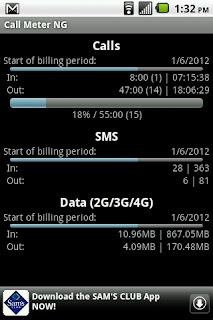 *Data usage per activity is based on an average. Bandwidth varies by website, video, email and other Internet application. Now we were getting somewhere. Those last three questions hit the mark. 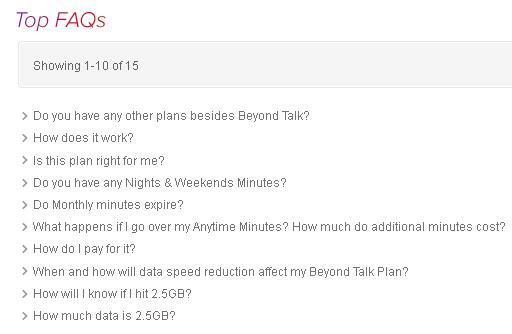 Starting March 23rd, 2012, if you use over 2.5GB of data in a month, your data speeds may be reduced to 256 kbps or below for the rest of that monthly plan cycle. During this time, you may experience slower page loads and file downloads, and lags in streaming media. Data speeds will return to normal as soon as your next plan month starts. If you'd rather not wait for your new month to start, you can restart your plan immediately through My Account. When you reach that threshold, and your data speeds are reduced for the rest of your plan month, you will receive a text message notifying you of this change. If you are susceptible to data speed reduction, you can check how much data you've used at any time during the month by logging into My Account, and checking Data & Web history. So to sum up, these details weren't exactly unavailable at the Virgin Mobile website ... but VM wasn't exactly broadcasting them, either. I admit I'm not really breaking news. Android Central reported this planned change back on January 18. And according to them, Virgin Mobile wanted to start throttling data last year but delayed their decision. 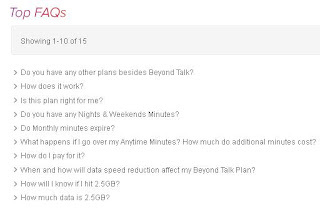 Lastly, I suppose the most important question for Virgin Mobile's android phone users is how to measure data usage to avoid getting that fateful text message from VM telling you you've hit the 2.5GB wall. Logging into your VM account every week to check would be tedious; I don't consider it realistic advice. 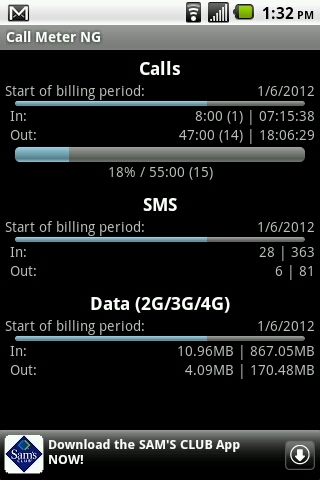 But I'm not entirely sure how to interpret the Data (2G/3G/4G) usage. It looks as if I've used just over 1GB so far (867.05MB In + 170.48MB Out), but frankly I don't know if that includes or excludes SMS data. UPDATE: the numbers to the right of the | separator show lifetime usage; the numbers to the left of the | separator show usage since the beginning of the billing period -- in this case 1/6/2012. 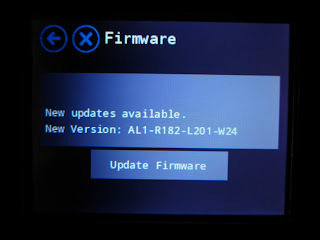 If you know, please comment and enlighten me and the LG Optimus V community. Thank you. UPDATE: Just discovered another interesting app that keeps track of your data usage and will actually notify you when you're about to reach a preset cap. It's called Onavo. I just installed it and it looks pretty nice -- its setup lets you enter your monthly cap (VM users, please note that the cap field defaults to GB but can be changed to MB, which you'll need to do to enter 2.5GB as 2500MB) and will notify you when you've reached a % of the total you can select yourself. (The default is 75%.) It also watches your apps as you use your phone and can tell you which ones are the biggest data hogs. So far so good. 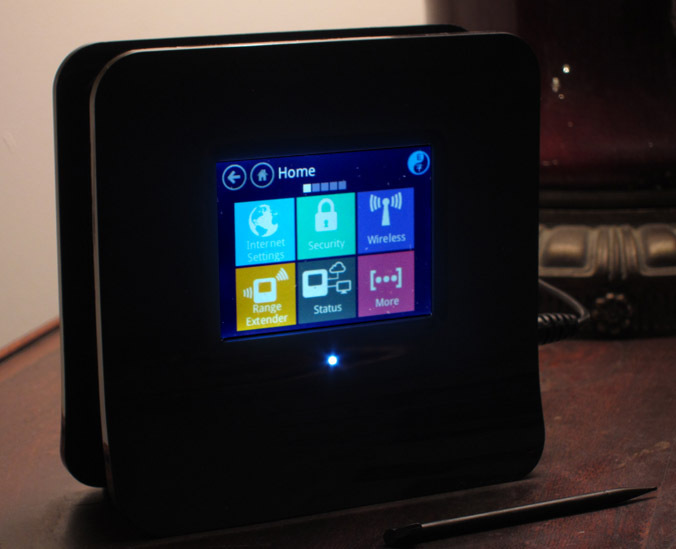 Is Your WPA/WPA2-enabled Wi-Fi Router Secure? Quick Summary: If you're looking to secure your router against the WPS vulnerability, the best thing to do is log into your router's web-based setup and disable WPS immediately. However, as of this writing a number of routers -- notably those manufactured by Linksys -- sport WPS configuration tools that claim to let you disable WPS but actually don't. To find out if anyone has tested your router's WPS vulnerability (and noted its ability actually to be disabled via the device's software interface), check this crowdsourced Google Docs spreadsheet. My router, the D-Link DIR-655, appears there and indicates that WPS can be disabled by logging into its setup screen and changing its WPS configuration. Moreover, D-Link tech support confirms this procedure. (See below.) Note: per a recent Security Now! podcast, host Steve Gibson explains that the Wi-Fi Alliance requires that all Wi-Fi Alliance-certified WPS-capable routers have WPS enabled by default. So even if you've never bothered using WPS you should still check its status via your router's setup interface. That should do it. If you're a natural-born paranoic and still want to evaluate your router's vulnerability using the current exploit, you can learn more about it by clicking on the Ars Technica article link below. Please be responsible and use the tool only to evaluate and correct your own router's vulnerability. Thank you. I just read an online article about a fatal security vulnerability in routers that support WPS (Wi-Fi Protected Setup). Since my D-Link DIR-655 is one such router, I'm writing to ask that you investigate this vulnerability in all of your WPS-supported routers and assure your customers either that they can and should turn off WPS via the web interface or that you are hard at work on firmware patches that will allow customers to turn off WPS via the web interface. The article reports that the researchers who discovered this vulnerability -- one that makes it possible to crack any WPA/WPA2 password because it circumvents WPA/WPA2 to focus strictly on guessing the WPS PIN -- found that Linksys routers that allegedly permit users to turn off WPS via software were still vulnerable to the exploit. In other words, WPS was *still* enabled in these Linksys routers even though the software setting showed it was disabled. I've disabled WPS in my D-Link router and I'm very keen to know whether I have indeed disabled it or whether I'm still vulnerable to this alarming exploit. I'm pretty anxious to hear what they have to say. I take Wi-Fi security seriously -- so seriously my WPA2 password comes from Steve Gibson's GRC.com website, which will generate a secure one for you of 63 random printable ASCII characters, 64 random hexadecimal alphanumeric characters, or 63 random alphanumeric characters. To learn that the length and randomness of my password doesn't matter -- that the backdoor exploits the super-simple WPS feature I've never bothered using -- is deeply troubling. I'll let you know what I hear. Update #1: Steve Gibson has also tweeted about an open Google Docs spreadsheet where router users who have tested their own router via the exploit can post vulnerability results. The spreadsheet currently reports that D-Link's DIR-655 router, which has WPS enabled by default, appears to be invulnerable to the current hack when its WPS functionality has been manually disabled. I did so yesterday as soon as I learned of the problem, so I'm much relieved to think that may be all I need to do. 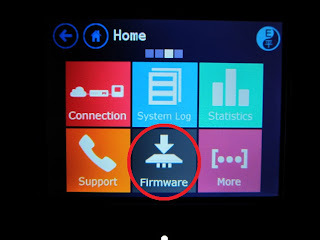 For those of you with a D-Link DIR-655 router, you may turn off WPS by logging into your router (its default URL is 192.168.0.1), clicking on the Advanced menu item at the top of the home page, and scanning the Advanced page's left nav until you spot and click on WI-FI PROTECTED SETUP. From that page uncheck the Enable box and that should do it. And thank you, Steve Gibson, for helping to keep laypeople like me secure from black hat hackers. 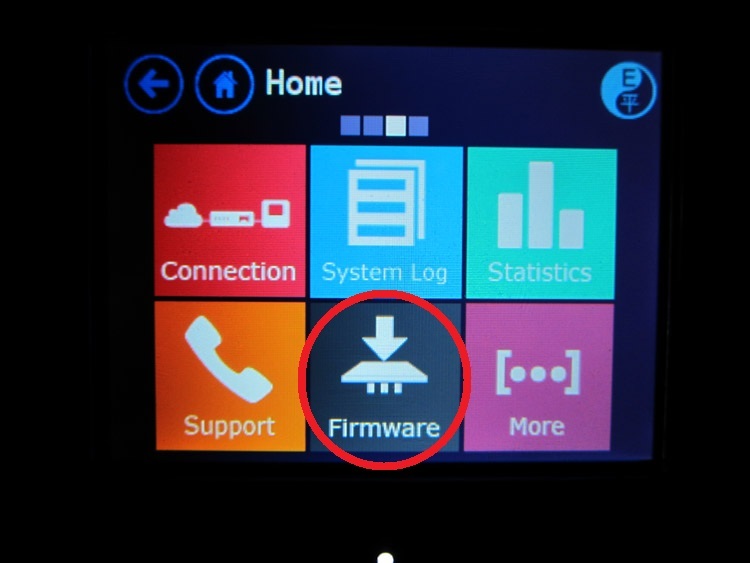 To disable the WPS function on the router uncheck the Enable WPS box and saving settings. Should you require further assistance with your D-Link products, please reply to this message, or call toll free at 877-453-5465. Thank you for networking with D-Link . As with most interesting stuff on the web, I just stumbled on Dan & Dan's hilarious YouTube videos by following a link posted in a comment about a completely unfunny blog article. You needn't bother commenting about what's wrong with my video ... it's painfully obvious. My Canon SD800 IS Digital Elph exhibits a common problem point-and-shoot cameras have maintaining color and contrast consistency from one shot to the next. When I edited the movie in my two- or three-year-old copy of Pinnacle Studio Ultimate HD ver. 14 I fooled around with the color and contrast correction plug-ins, but they're not exactly as simple to use as Picasa's red-eye reduction feature. Still, not bad for a first effort using the cheap, readily available technology lying around my house. One last thing: Dan & Dan moderate their video responses, so as of this writing my video isn't yet accessible from the "iPad Head" YouTube page. Will my response be approved? Stay tuned. 1/10/2012 update: Dan & Dan graciously allowed my video response to appear on their video's YouTube page. Thanks, D&D!